PVC Cladding sells a wide range of Interior and Exterior Mouldings. Our range consists of Exterior Cornices and Dentil Blocks, Gallow's Brackets, Coving and Interior Cornice, Dado & Picture rails, Door Entrance Mouldings and Columns, ornate Ceiling Roses and Skirtings. You can also purchase a range of Loft Hatches in this section. The Decorative Mouldings sold by PVC Cladding are mostly made from Polyurethane which is a chemically bonded material providing durability and strength, whilst also being lightweight and therefore easily handled. These plastic mouldings are used in place of traditional plaster products which are more difficult to handle due to their weight and, due to their fragility, normally demand installation by expert craftsmen. An alternative to plaster has also been found in MDF or Timber, however these also suffer from being heavier than the Polyurethane based alternatives sold by PVC Cladding. As our Mouldings are synthetic they are resistant to water unlike the timber alternatives which will eventually deteriorate in time, the original plaster mouldings are known to crack in time through moisture and movement. As the moulds used to cast these features are precision engineered the end product comes with precise detailing and has a smooth finish. They are also certified under British Standards as Class 1 fire rated and do not easily support combustion. 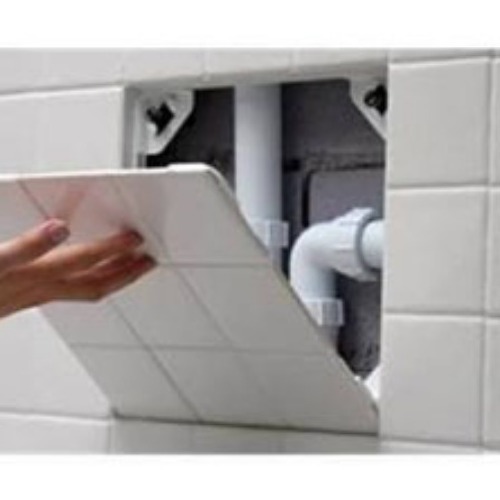 For installation purposes our plastic mouldings are easy-fit and quick to install, and are pre-painted in white. It is worth noting however that you can also use the range of Interior Mouldings on the exterior of the property as they are made from the same synthetic material, these Internal Mouldings are supplied primed and can therefore be painted to suit whatever colour scheme is required by the installation. PVC Cladding sells a range of Exterior Mouldings and the most popular of these are available on the website, additional ranges are available by contacting our team. Our range of Cornices provide a moulded projection usually in the eaves of the property, it is designed to add the style and elaborate features often found in more significant heritage properties whilst also reducing the risks which are inherent within the installation of the heavier alternatives. Interior Cornices and Covings add interest to an otherwise plain ceiling feature and can also be used to hide untidy plaster joints between the wall and ceiling. Our range of Celiing Roses can be used to complement these feature mouldings and in the right setting their appearance is stunning. Dado rails and other door and wall mouldings such as skirtings and architraves complete this range. Dentil Blocks were often used in Victorian architecture and are popular in modern New Build designs as they provide a decorative block design to the underside of the soffit board. Dentil Blocks are also referred to as Corbels and as Modillions depending on where they are being used and how they are grouped. Our range of Gallows Brackets are designed to provide decorative detail under bay windows and exterior canopies, these brackets have load bearing capabilities of up to 75 kgs as they are made from reinforced, close bonded Polyurethane. Their design features a grained effect similar to that found in traditional timber products, however unlike the timber alternatives they are virtually maintenance free. 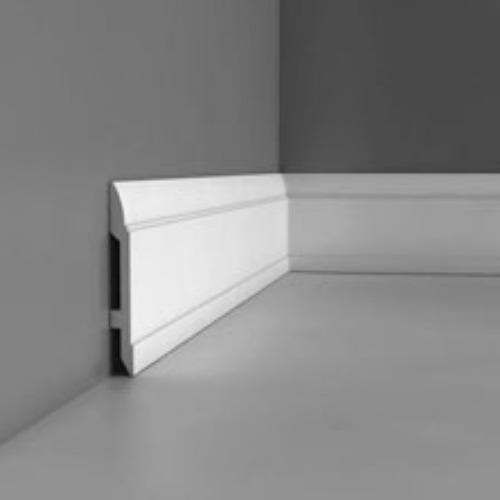 Our range of mouldings are pre painted in white although it is possible to buy our cornices pre primed if using the interior moulded cornices for an exterior application, these can then be painted on site to suit individual requirements and designs. Fitting instructions for our ranges of Plastic Mouldings can be found in our Guides and Tips section. Please allow 48-72 hours for delivery of these products, and up to 7 days for our PVC columns range.